July and August are the hottest months of the year and yet it seems we are still getting over how terribly cold it was this last winter rather than prepare for the heat of the summer. You may be tempted to try and save money by not upgrading or tuning-up your AC system, but that could leave you sweating in the hottest months when you need AC the most. 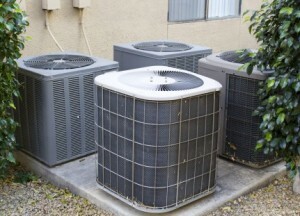 As seasoned professionals who sell, install, and repair ALL types of Air Conditioning units, we understand the confusion between the different AC unit options. In this article, we are going to help explain the different options available for home or office, and some issues you will likely run into if you do not do proper preparation maintenance. Whether you need to install a new AC unit or require upcoming maintenance, understanding the different models and when to use can be difficult. Make things easier on yourself and take the necessary steps to maintain your current A/C unit to stay energy efficient and minimize larger repairs in the future. To give you a better understanding of which AC system you may have, here are the different options available. Standard central AC systems advance air throughout your home using ducts and registers. It has the longest lifespan of the three options and best option with existing ductwork. 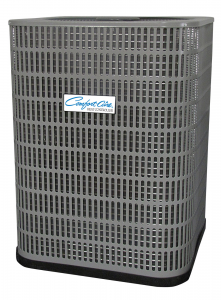 This type of AC unit provides the most even cooling of your home or office. 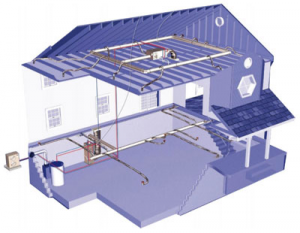 It uses a split system that consists of an outdoor unit containing the compressor and condenser and an indoor unit often connected to a furnace or heat pump. It can be used in houses or offices that have existing ductwork or one our Install Technicians for HVAC can help install new air ducts. For peace of mind and relaxation ALL year long, sign up for our Total Comfort Service Plan to receive priority routine service on both heating and cooling systems. If you do not have existing ductwork and are looking to save money, a high velocity AC unit is the best option of the three for you. Generally speaking, high-velocity systems make the room colder fast than the other two options. High Velocity AC units move cool air throughout the house ducts at a high flow rate, cooling your home or office more efficiently than other options. This unit has an outdoor compressor that connects to the indoor air handlers through insulated tubing, making it an inconspicuous option. Also called Mini-split units, ductless units are great for larger spaces, for cooling specific areas or when you don’t want to go through the expense or work involved with installing a duct type air conditioning system. Unlike the other options, ductless units can also provide cooling as well as heating. And although ductless units are versatile, they do not work in every application and therefore need professional consultation before installation. Because the ductless units use split-system it is important to keep the outside compressor clean in order to prevent overheating. In the middle of Summer we know preparing for next winter is the last thought on your mind. Don’t let it be! Just like the beginning of spring is best for an AC tune-up, the end of summer is the best time of year for annual tune-ups on your heating system. When your systems sit for months unused you run into functionality problems. Combine with AC Unit tune-up with the total comfort plan for the most savings. We hope this article was helpful to learn different options available to you. If you still have any questions our team is more than willing to help you find the perfect solution. Our Boston heating service & repair team is ready to conduct a full tune-up. 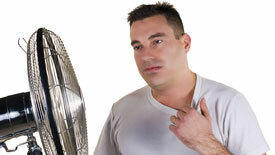 Contact our staff to learn about all your options for AC units and discuss which one is the best fit. Considerable savings, avert improper ductwork, and learn when to repair/replace your air conditioning system. We look forward to working with you to find the right AC units for your home or office.